Brian Urlacher was an eight-time Pro Bowl player and established himself as one of the NFL's most productive linebackers early in his career. He is regarded as one of the best defensive players in the NFL, winning the NFL Defensive Rookie of the Year Award in 2000 and the NFL Defensive Player of the Year Award in 2005, becoming only the fifth player in NFL history to win both awards. Urlacher was inducted into the Hall of Fame in 2018. 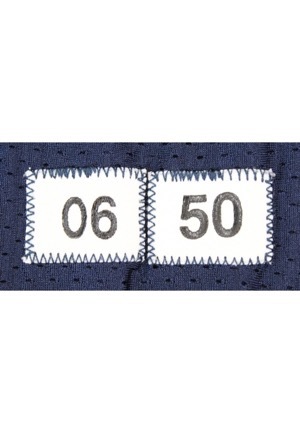 In the rear neck are two strip tags reading “06” and “50” in black. On the v-neck is the official “NFL EQUIPMENT” shield logo. 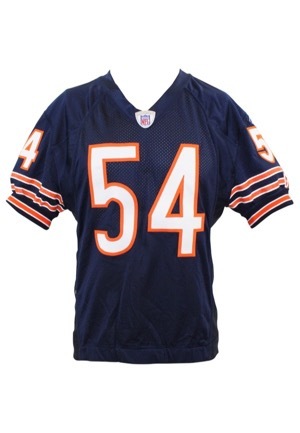 Across the front, back and on both sleeves is the player number “54”. Across the back on a navy blue nameplate is the player name “URLACHER”. All numbering and lettering is done in white on orange tackle twill. Above the player number on both sleeves is a “Reebok” logo embroidered and below the player number on the left sleeve reads “GSH” in white on orange. 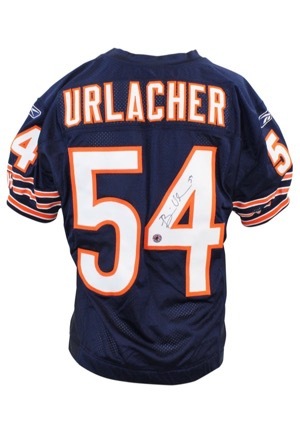 Urlacher signed the back of the jersey inside the player number “4” in black marker and in our opinion the signature rates a 9. 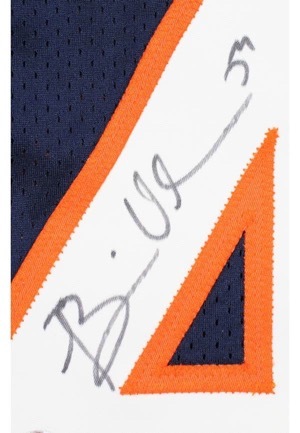 Beneath the signature is an “URLACHER AUTHENTICS” hologram. This jersey is custom straight hemmed on the bottom and sans the manufacturer’s tag on the front left tail. This jersey is properly tagged, was presented to us as game-used and in our opinion shows light use. Accompanied by a LOA from JSA and an Urlacher LOA confirming the autograph.